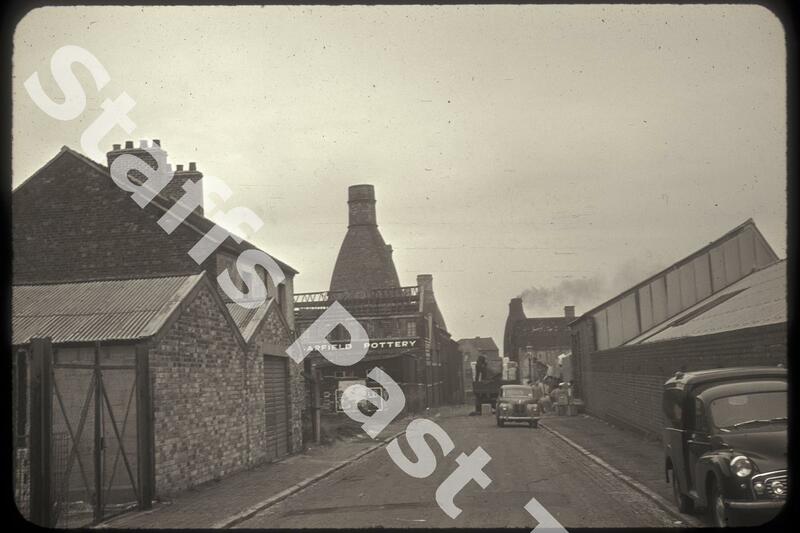 Description:Looking west along Barker Street towards Barlow Street. On the left is Gallimore's Garfield Pottery works, on the right is Sampson Smith Ltd and at the bottom the side of A T Finney's Duchess Pottery. 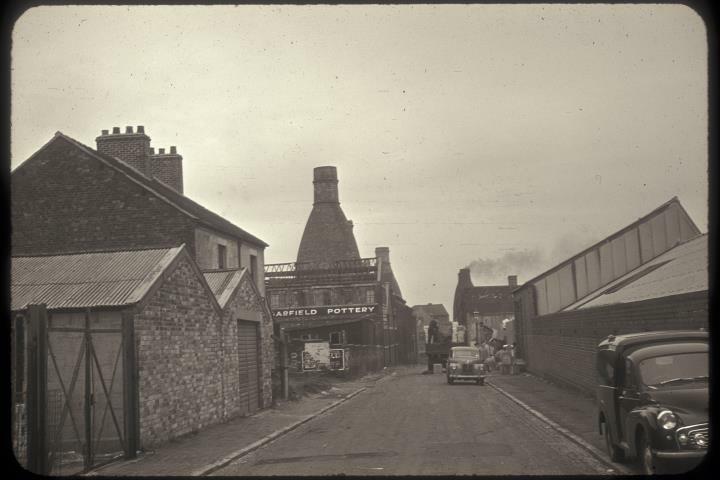 The smoking bottle oven on the right is probably part of the now demolished Blue Bell Pottery also operated by A T Finney.